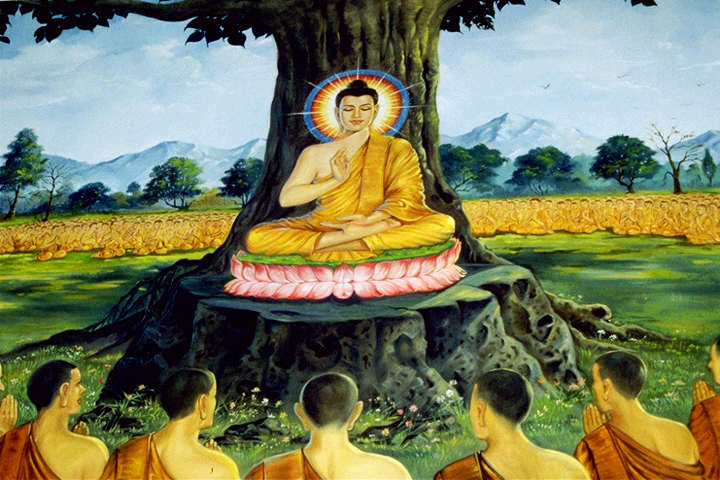 According to tradition, Siddhartha seated himself at the foot of a tree, which has since been called the Bodhi Tree, the tree of enlightenment. He vowed to sit beneath that tree until he had attained deep insight into suffering. As he sat through the night, a profound stillness settled upon his mind, like that of a lake on a windless day. This stillness enabled him to see ever more deeply and clearly into the cycle of grasping, clinging, and egotism found at the root of suffering. The demon Mara rose to tempt him and to attack him with arrows of passion. Desire, fear, pride, and thirst rose to challenge his clear concentration of mind. But Siddhartha placed his hand on the earth, calling earth itself to witness his firm resolve. 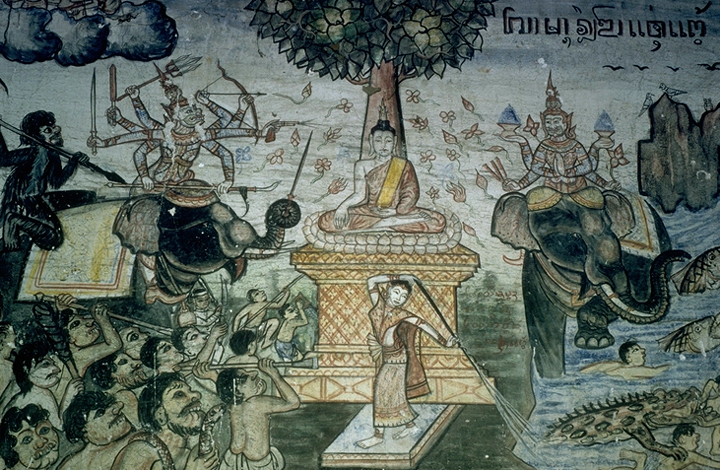 When the morning star appeared, Siddhartha Gautama became the Buddha, literally the “Awakened One.” He had woken up to the nature of the changing world and the causes of suffering. This state of awakening was also called nirvana, literally the “blowing out” of the fires of ego-centered attachment which are the source of suffering. Siddhartha is called Shakyamuni Buddha, the “Sage of the Shakya clan” to make clear that this awakening is not uniquely his. 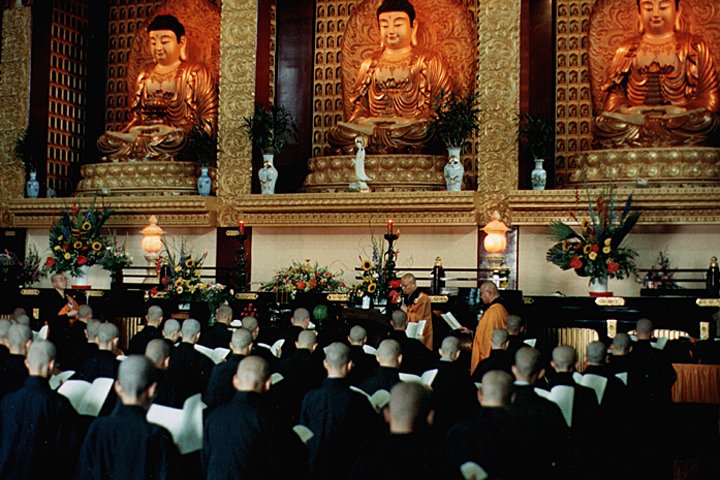 Over time, there have been other individuals who have awakened to the truth and gained enlightenment, thereby becoming Buddhas. Among the most well known and widely venerated are Amitabha (Amida) Buddha, Vairochana Buddha, and Bhaishajya-guru (better known as the Medicine Buddha). Indeed, sometimes Buddhas are depicted by the thousands, for the “Buddha nature” is the true awakened nature of all beings. It is said that, out of great compassion, the newly enlightened Shakyamuni Buddha set out to show others the path he had followed so they might set foot on that path as well. 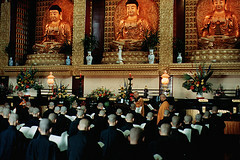 After his awakening, the Buddha taught in the cities and villages of North India for some forty-five years.